I want to offer a different way of looking at stress. 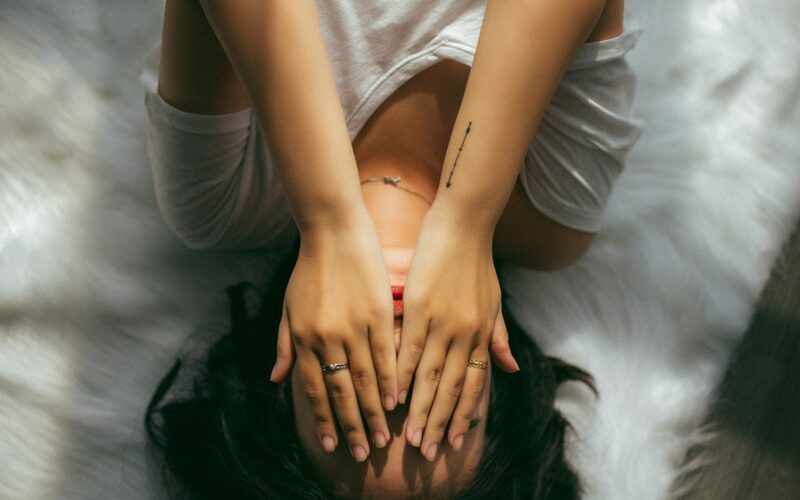 The most common model for stress is that stress is a ‘thing’ that bothers you- it’s a tension that either comes from outside of you, from having a busy life, or an anxiety that comes from inside, because you don’t know how to calm down. 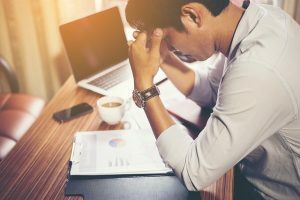 When the stress gets big, it becomes uncomfortable, and it can affect your mood, contributing to physical pain, headaches, migraines, sleep troubles, etc. When you find ways to relieve the stress, to ‘shrink’ it, you can feel more emotionally and physically comfortable, be more present with your loved ones, sleep better. This is a perfectly usable model in many circumstances, but it has the limitation of seeing stress as a thing “not you”, rather than a part of an important process that happens inside you. If we can see the stress as part of ourselves, then we can have more choices in how we relate with it, how we manage it, and how we transform it. It’s very natural, throughout the day or the week, for our systems to have moments of ‘activation’, where we get excited, or angry, motivated, or frightened. It’s also very natural to have periods of deactivation, where we feel restful, or depressed, spacey, or calmly joyful. There is a constant balance between these two branches of your nervous system. When it’s in a healthy balance, you are productive when you need to be productive, and restful when it’s time to be restful. However, if there’s a hiccup in the balance, say, if your SNS refuses to be settled fully by your PNS, then you may start noticing things like ongoing anxiety, a constant low-level (or sometimes high level) buzzing of the Sympathetic. Or perhaps the PNS hardly kicks in at all- then your SNS may shoot high out of control, leading to mania or burnout. Or what if your PNS overwhelms the SNS? Then you may feel unmotivated, lethargic, and have difficulty engaging with anything. Any of these unbalanced states can be unpleasant, and are ‘stressful’ to the system. Now that we’re using this model, certain questions can emerge. Instead of just asking, “How do I de-stress?” We can ask, how can I tell my SNS it doesn’t need to be on overdrive? How can I give my PNS permission to fully settle me? Or, how can I feel more safe with letting my SNS kick in and help me set boundaries, get stuff done? Once we ask these questions, an enormous amount of options begin to open up. One of the routes I use most is a specific form of mindfulness. If you start asking yourself “How activated is my SNS right now?”or “How activated is my PNS?”, you can start developing, over time, the sensitivity to feel the tightness in your chest, or the fire in your belly, or the strength in your limbs as the SNS is activated. You may also start learning to track with the deepening of your breath, the loosening of your facial muscles, the gurgling of your stomach, and the tingles in your limbs as your PNS helps you discharge your activation. As you build this sensitivity, you may find that simply by sitting with whichever system is feeling stuck or inhibited, it will start to change. What felt like a constant, chronic state, suddenly becomes part of a larger, constantly shifting picture, and you’ve made a significant step back towards having a balanced, mutually beneficial exchange between those two branches of your nervous system. 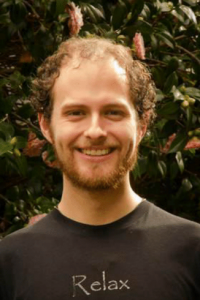 Aaron Kapin runs Thoughtful Touch, a Somatic Experiencing and Therapeutic Massage practice where he has been helping people settle their nervous systems and create healthy relationships with their bodies for over 10 years. He studies personal development, interpersonal communication, and neuroscience in his spare time. Aaron sees clients in-person and remotely, over video chat. 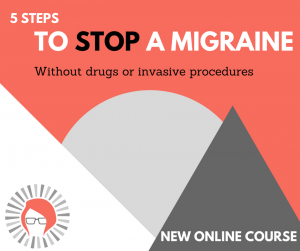 Learn our systematic approach for stopping a migraine in our Ultimate Migraine Relief Course. Very interesting article. I never thought of stress this way. I always thought it was brought about by external factors. I have to try listening to my body more. Thanks for this post. It was really helpful. That’s an interesting point. In the Somatic Experiencing model that I use, the external factors can be instigators for activation or deactivation, but ultimately it’s your own nervous system that has the reaction. If a dog barks at you, you’ll probably have a different reaction than if the same dog barks at your friend. You might both get a little activated (or a lot activated), but to different degrees. And it will likely take a different amount of time for that activation to settle. This also reminds me of how in SE we say that “trauma” isn’t the stressful event that happened to you, but the ongoing reaction to that event. That’s why we can help with trauma recovery without necessarily going into the details of the event itself: We’re helping you re-regulate your nervous system so that you no longer need to have a long-term reaction to the stressful event. Stress is something that I try to avoid, but it’s not always possible. This is very informative on how to main balance. I hope I can easily build that sensitivity to help manage the stress levels when I feel them hitting. Yeah, unfortunately it does seem like stress is a part of life. Building the sensitivity you’re talking about can be really useful: it can allow you to interrupt a cycle of activation before it overwhelms you, or to help your system FINISH the cycle of activation so you can return to a state of safety. It’s also a skill that can take time and effort. Feel free to reach out over e-mail or phone if you want some tips on how to train that sensitivity so you can better manage the stress levels. My contact info is at the end of the article. yeah I am a very stressed out person. it’s too bad but my life is pretty chaotic right now. Stress is a huge factor for me more often than not. I really think exercise helps me the most!! Exercise is huge! What a great way to help the activated Sympathetic system exert itself and settle down a bit. If you’re interested, I can share an exercise that combines some SE principles with actual physical exertion. A way to use physical exercise to intentionally release some more of that nervous system charge. My contact info is at the end of the article. Stress can have an impact on our bodies in so many ways. Many of us don’t even realize that some of our symptoms are stress related. It is eye opening when we discover that we are being overtaken by stress. I’ve even had my hair fall out. I took a long time for me to realize the stress was causing it. Take a deep breath…let it all go. It’s crazy that we can recognize that we are stressing out, but push ourselves to continue on without doing anything about it. This was great information. Thanks Wendy! I hope you find it useful. A big part of my motivation for doing the 3-year Somatic Experiencing training and building my practice in this direction was to give people a chance to realize that they can change the way their bodies respond to stress without having to do massive lifestyle shifts. I want to give people more choices, so they can have some more peaceful power. Copyright © 2015-2017 Engineering Radiance. All Rights Reserved. The statements made on this website have not been evaluated by the FDA (U.S. Food & Drug Administration). The products sold on this website and any information published on www.EngineeringRadiance.com are not intended to diagnose, treat, cure, or prevent any disease. 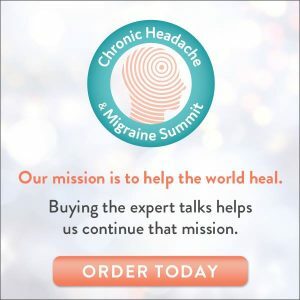 The information provided by this website and/or this company and/or Erin Knight is not a substitute for a face-to-face consultation with your physician, and should not be construed as individual medical advice.